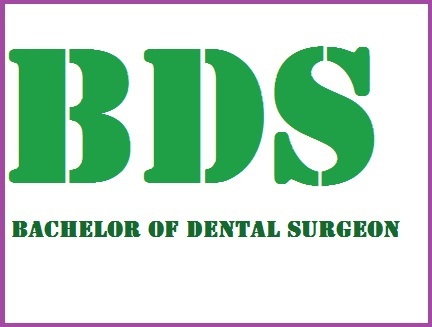 BDS -Bachelor of Dental Surgeon is a four year course in duration with one year of Internship (4+1) affiliated to a university ( Central )and approved by Dental Council of India. B.D.S is an Undergraduate course which deals with the Dentistry i.e the branch of medicine dealing with the anatomy and development and diseases of the teeth.Students willing for Direct Admission in BDS should be 10+2 Class from the approved boards in India pass with Physics, chemistry and Biology (PCB) as main subjects and for some prestigious institutions with at least 60% marks and should have appeared in the National Level /state level and University Level Dental Entrance Examinations. Direct Admission in BDS colleges in India is the process Where the students are provided with Direct Admission in BDS as per their Academic Score Like 10th Class Marks ,12th class Marks and Entrance Exams Score. All Direct Admission in BDS are been provided to the students as per being an associate channel partner of all top BDS colleges in India and as per the Requirement Eligibility and Guidance for Top BDS colleges in India. Orthodontics, Periodontics, Pedodontics, Prosthodontics, Endodontics, Oral and Maxillofacial Surgery, Cosmetic & Esthetic Dentistry, Oral Pathology, Forensic Dentistry, Oral Medicine, Crown & Bridge Dentistry, Preventive Dentistry, Operative Dentistry, Implant Dentistry, Community Dentistry.